Above Scarpetta at the Montage Beverly Hills sits an intimate, private, reservation-only bar called £10 (Ten Pound). Inspired by General Manager Hermann Elger, £10, which opened in June 2011, is a luxury artisan bar specializing in the Scotches of Macallan, as well as a full cocktail bar with handcrafted cocktails done table-side. 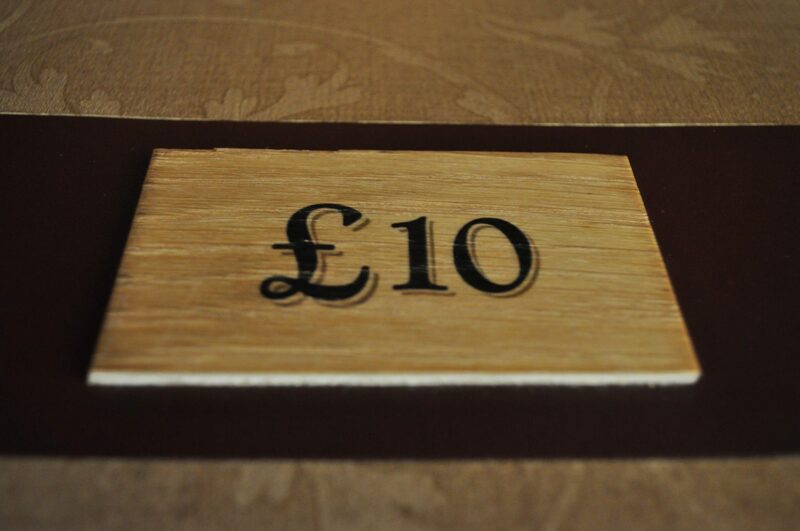 Why is the bar called £10? Did you know that the Scottish £10 note has a rendering of the Macallan distillery on it? As this bar features Macallan Scotch, it was a natural fit. While working harvest at Mountford Estate in Waipara, New Zealand we ate well everyday. All the meat and vegetables that we ate on a daily basis came from the farm, straight to the table. There was fresh veal and lamb that had been killed prior to my arrival. And, the venison was planned for after my departure. I was okay with this and thought I had gotten off easy until they announced that it was time to kill the geese. There were 25 loud squawking geese that we heard every morning, day after day. Despite their being annoying, they were well-fed, happy geese who lived a good life on the farm. But, on a calm Sunday, while waiting for the grapes to ripen, the harvest team took a trip for a couple of hours only to come back to 20 dead (decapitated) geese.